One of the first updates is that Monique Stamps and the Women of WEAN have partnered with F4ACLT to put together four events this year. 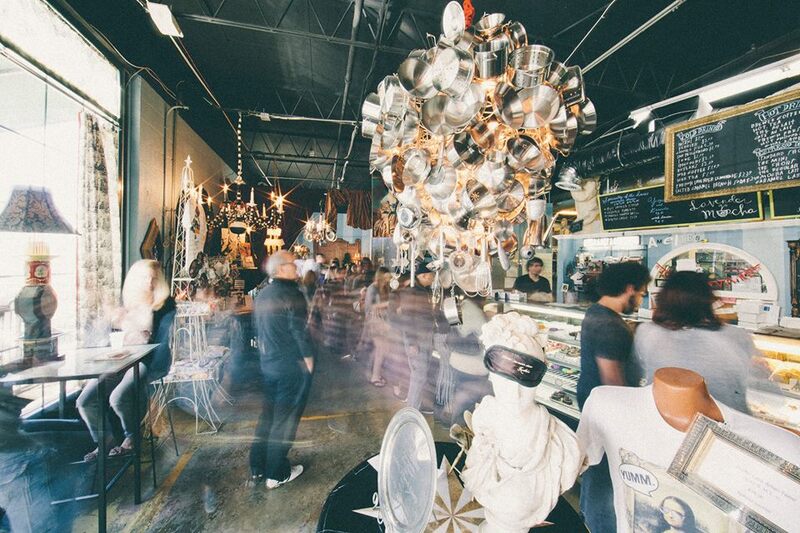 The events will allow the ladies to discover new and interesting accessible foodie places around town as well as have social time together on different topics. I am so delighted to work with Monique! A certified Zumba trainer and peer support advocate, Monique totally gets the idea behind F4ACLT. Not too long ago,we met at Amelie's in NoDa, which, by the way, will be the new meeting for WEAN in the future. In looking for a larger space that was accessible AND comfortable for multiple mobility devices, Amelie's won! It doesn't hurt that the WiFi and the treats are terrific! 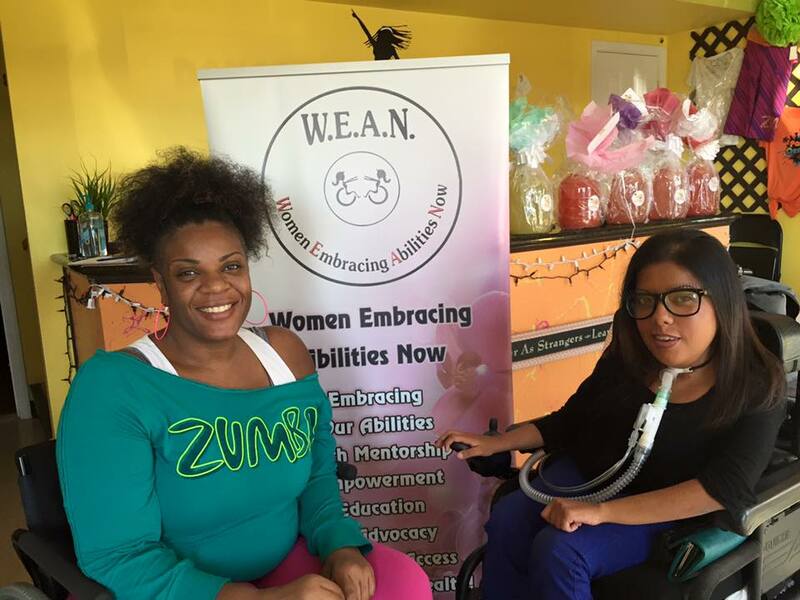 We discussed an event which was just recently completed; the taping of one-on-one interviews with the Ladies of W.E.A.N on the subject of disability and dating. The incomparable Saran Almond of "What Would She Do?" was our interviewer. Look for another blog post on that event soon! Other ideas were thrown around the table as we noshed. And, then, Melissa Soriano began to tell me about her experience at Mimosa Grill. I don't want to give away all of her first blog post, but she will be my resident guest blogger from now on! This young lady, a member of W.E.A.N., gets around Charlotte, has her own business, and is so supportive of everyone in the community! I just love her and she is another reason F4ACLT is growing its wings! So, suffice it to say, changes are a-coming! But, it is all good, and I hope you will enjoy the added content, the new faces and new places! Front and ordering area of Amelie's. Larger room is toward the back of this picture. This is one of five locations from Charlotte to Atlanta, Georgia. This location NEVER closes! Yes, we love that! Parking lot is FREE but can be very challenging due to the popularity of this place as well as other stores in the strip mall. There are steps and a ramp at one end. There is no automatic door and there is a slight threshold that may be cumbersome for someone using a manual chair. This can be a very busy location, but to the left is a larger room as well as an adjacent atrium (in the rear) with standard level tables and chairs. I suggest CA (Calling Ahead) if you have a large party. There is an online menu located here. I use it as the menu items are written on a chalkboard at the location, though I believe there are paper menus available as well. Availability and price of treats are subject to change without notice, so CA (call ahead) for your favorites! Sensory and hearing issues may be of concern when there is a large number of people present, but for the most part, it is relatively quiet with no overhead music. The atrium is considerably more noisy if crowded. It is well lit but there is a lot of decor items (beautiful to me!) that may be a distraction to some sensory sensitive people. We did not use the restrooms here. As always, if you have anything you would like to add to our reviews or our Accessibility Notes, please let us know!